Rabbi Charlop, spiritual leader of Young Israel of Mosholu Parkway in the Bronx, N.Y., has served as president of the American Committee for the United Charities in Israel, General Israel Orphans Home for Girls in Jerusalem and the National Council of Young Israel Rabbis. In May 2008, Rabbi Charlop received Yeshiva’s Presidential Medallion in recognition of his stewardship of RIETS. 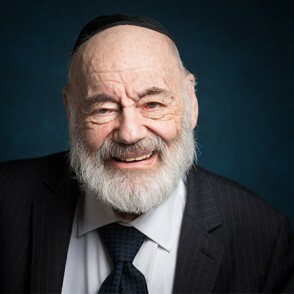 Under his distinguished leadership of more than 35 years, the seminary experienced enormous growth, graduating thousands of rabbis, educators and Jewish scholars. Rabbi Charlop serves as one of RIETS’ masmichim (those who administer ordination exams) and maintains his special relationship with the Kollelei Elyon. He also serves as special advisor on Yeshiva affairs to President Richard M. Joel. Rabbi Charlop is editor of three novellae on Torah and Talmud by his late father, the noted Rabbi Jechiel Michael Charlop.